No New Years Celebration is more famous than the Ball Drop in Times Square. I mean, New Years is already the biggest party night of the year. And what better place in the world to party than the center of the greatest city of the world? People gather from all over the world every year to take part in this long and rich famous tradition. The Times Square Ball Drop. So When Was the First Ball Drop? Our story begins way back In 1903, when The New York Times was gearing up to open their new headquarters, which was then the city's second tallest building, Back when Times Square was still called Longacre Square. Adolph Ochs, the owner of the NY Times, decided he wanted to do it big. He wanted a fireworks spectacular, on the roof of the building, on New Years. But fast forward 4 years and just some measly fireworks wasn't enough to quench Ochs thirst for festivities. He wanted to create a real visual spectacle. Something to really draw some attention to the now newly-renamed Times Square. 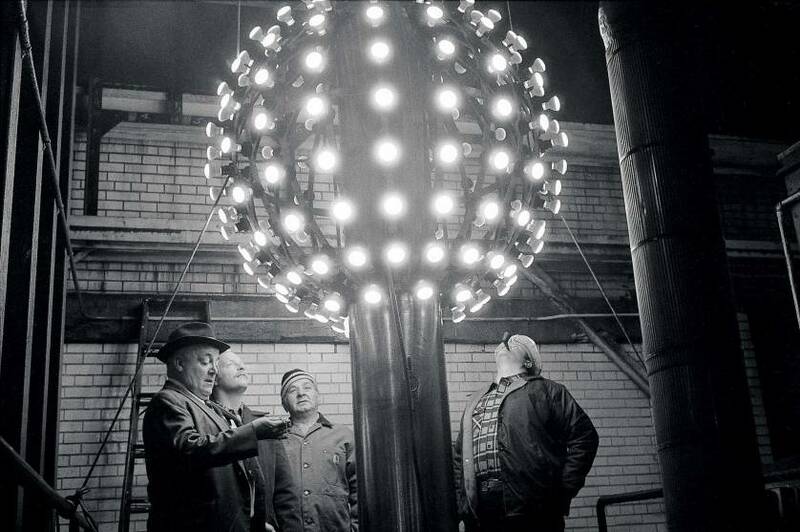 And so, legend has it, an electrician was hired to build a big lighted Ball - and the plan was it was going to drop from the roof of One Times Square. Would you beliieve back then that the very first iron Ball was only 5 feet in diameter? Wow that's a small one. 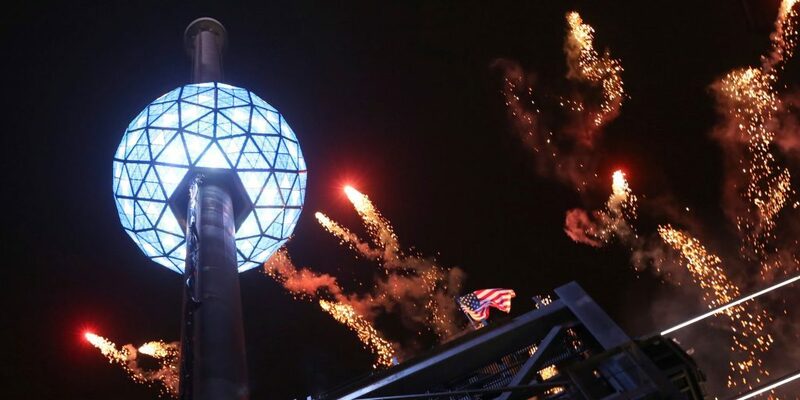 But anyway, the very first ball drop happened on New Year's Eve of 1907, just one mere second after midnight. 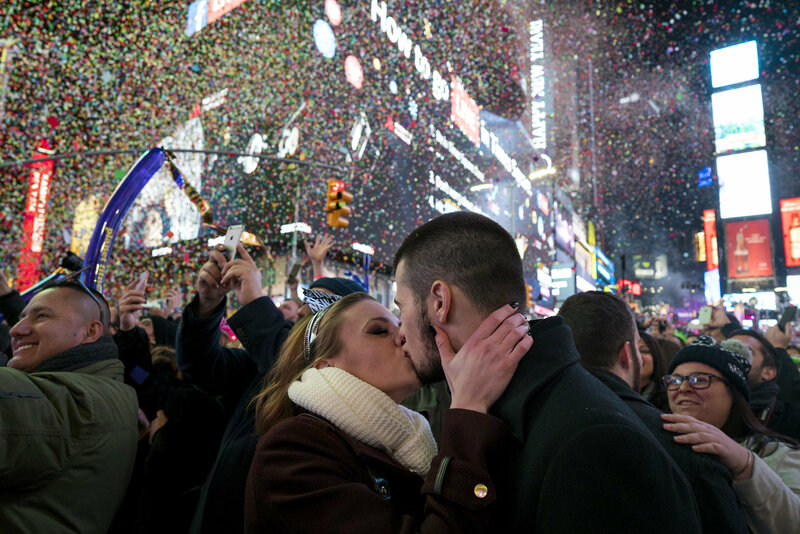 Though the Times eventually decided to move its headquarters, the New Year's Eve celebration stuck around at One Times Square. To this day it still remains a legendary event cherished by all. It goes without saying that a lot has changed since way back when. The Ball has gotten a real upgrade from 100 plus years of keeping the party going. In 1920 it was swapped out with a 5-foot and 400-pound iron Ball! But that wasn't enough, that one did last until 1995 but the third Ball was when things really started to heat up. The rhinestone bedazzled ball design we've all come to know and love features strobe lights and a high tech computer light system. The first true NYE Ball for the modern era! The New Years Ball weighs 1,070 pounds and measures a whopping 6 feet in diameter, today is covered with 504 Waterford Crystal triangles and gets its shine on from 168 halogen bulbs outside. Internally, 432 bulbs of clear, red, blue, green and yellow colors along with strobe lights and spinning mirrors. On December 31, 2006 it was newly rigged with light-emitting diodes for a more energy efficient celebration. But Wait, there's more balls on the horizon... In honor of the Ball Drop 100th anniversary, a new fifth design debuted New Year's Eve 2008. Manufactured again by Waterford Crystal. It weighed 1,212 pounds, used LEDs, computerized lighting pattern, and only consumes the electricity of 10 toasters! But its life was short and sweet. The 2008 Ball was only used once— a sixth new Ball debuted on New Year's Eve 2009 and that's the current ball. 6 BALLS! Would you believe it?! ANd the new 2008 redesign ball is double the previous size, making it the biggest New Years Ball of them all. It remains on top of One Times Square all year, waiting to drop. I never knew that. I'm planning on coming to nyc this year for new years and I'm really excited.